Mechanical seal Medium-Hi Duty DRD-2 | | Products | MeccanotecnicaUmbra S.p.A. 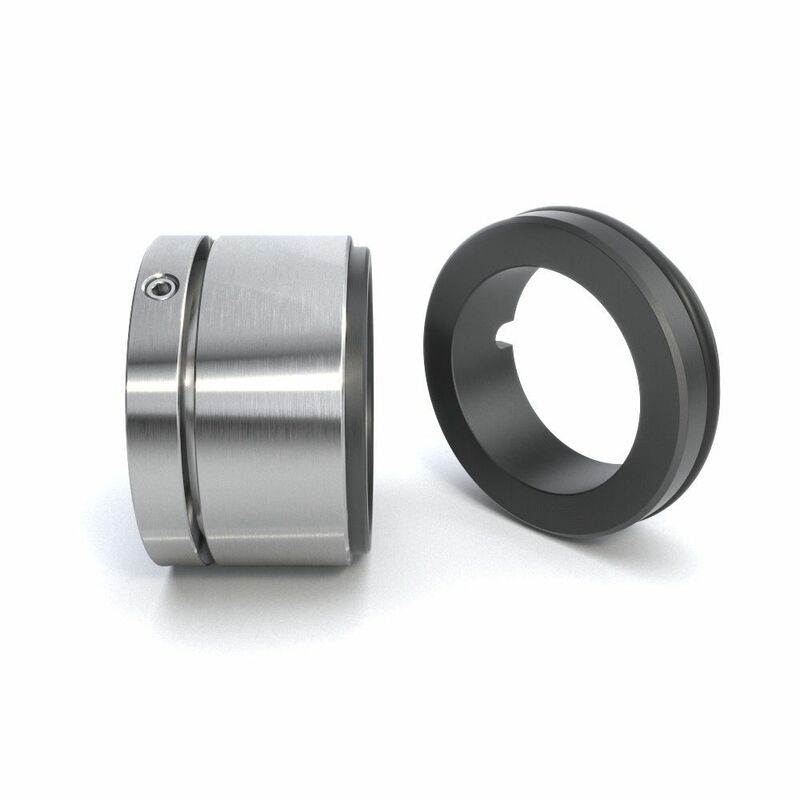 This seal has been designed in compliance with DIN 24960/EN12756 standards and can be used in a wide range of applications, in particular in cases in which the fluids are not particularly viscous or have a tendency to solidify. Developed as a balanced seal, when it does not have a shaft shoulder, this configuration allows to cope with high pressure values. For extreme applications it may be possible to modify the stated specifications. The seal has been subject to continuous development over time, enhancing its robustness and reliability which have significantly improved the torque drive on the rotary seal, which is in most cases solid. The difference from the single spring seal is that the multi-spring feature has a greater response to stress and a more uniform distribution of the load. In this case, the springs, not being directly in contact with the fluid, are not affected by the clogging of the coils and allow a better efficiency of the seal itself.